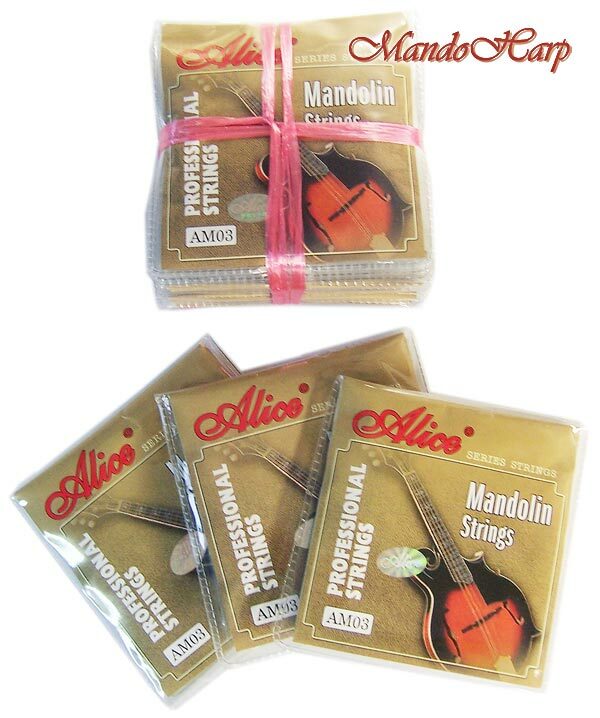 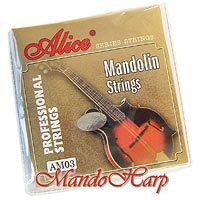 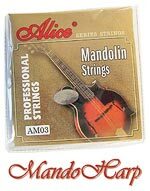 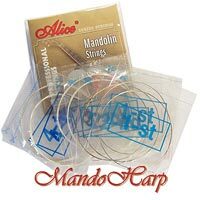 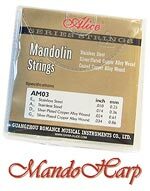 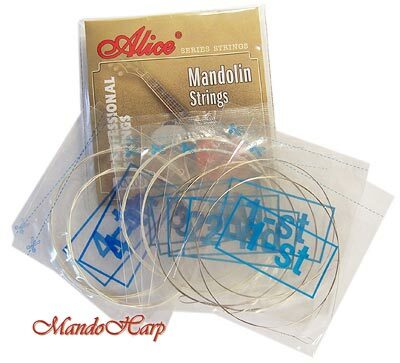 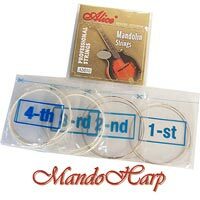 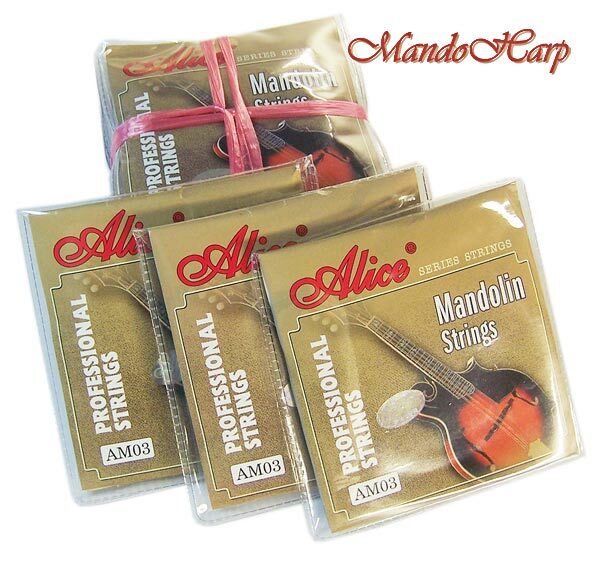 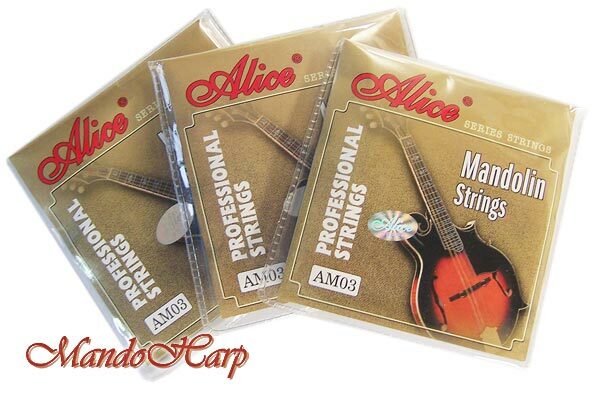 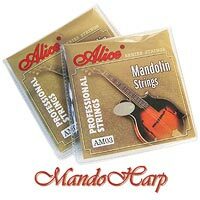 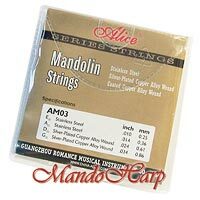 Light/Medium Weight Mandolin Strings, Silver-Plated Copper Alloy-Wound, Loop End. 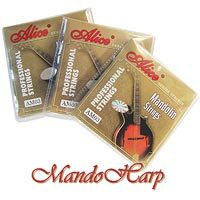 From Alice. 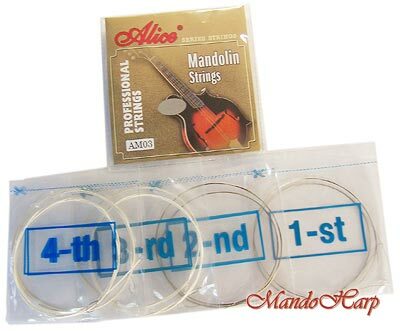 0.010" / 0.014" / 0.024" / 0.034"